Things in Wisconsin have been a little testy lately, but anglers got some good news recently: an analysis of trout populations statewide shows that both brook trout and brown trout numbers have generally increased over the past 60 years, and trout abundance in the western part of the state is near all-time highs. researchers from the University of Wisconsin-Stevens Point found higher trout-per-mile numbers in each. 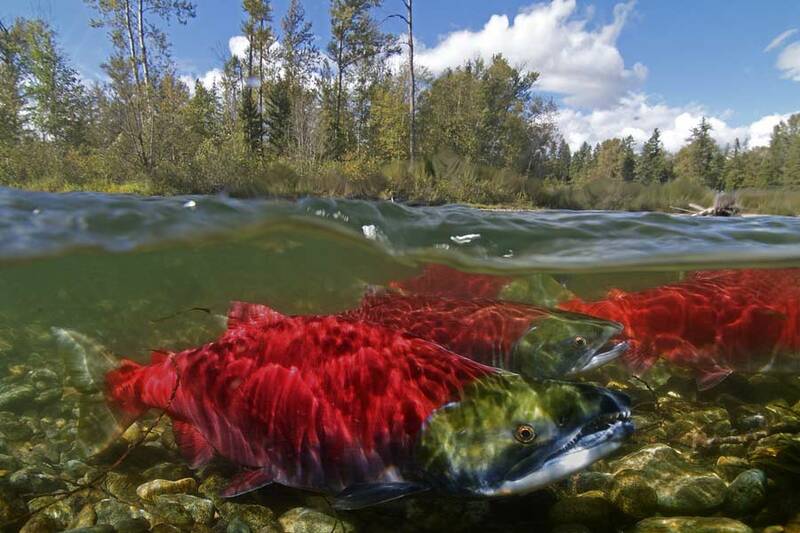 . .
Take our Fly Fishing Trivia Challenge! Tom is on break this week, so I put together the quiz today. To take the quiz, click the READ MORE button. Good luck! Welcome to another edition of the OrvisNews.com Friday Film Fest, in which we scour the Internets for the best fly-fishing footage available. It is snowing like all get-out here in the Great White North, which makes films like these manna from Heaven. Click “Read More” to see this week’s films, and enjoy! 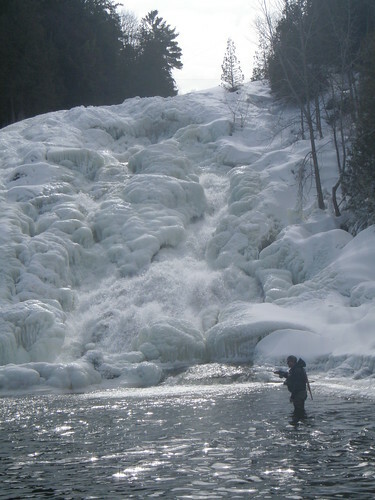 The author fishes below a huge ice dam on Vermont’s Otter Creek. I haven’t caught a fish since early December, and my nerves are starting to show it. This winter in Vermont has been long, cold, and snow-filled—not the best weather for winter fishing. I have been working a lot, tying a lot of flies, and dreaming of tossing those flies at willing fish. I want…no…need to fish. Every time I have had a free day to head out with a couple of buddies, . . . In early July 1995, I was guiding two of my favorite clients of all time—a father-and-son team from Annapolis, Maryland—on the Copper River, which drains into Alaska’s Lake Iliamna. Tom and TJ were skillful anglers who loved the sport, but they didn’t take it, or themselves, too seriously. We were near the end of a pretty good day of catching rainbows on leech patterns and sampling. . . Guess the Breed and Win a FREE Orvis Dog’s Nest! DON’T MISS OUT ON OTHER CONTESTS. This breed (which is NOT pictured below) looks similar to a foxhound but is shorter with softer and longer ears. It has a superb sense of smell for tracking. The modern breed was bred in Great Britain circa 1830 from the Talbot Hound, the Southern Hound, and other breeds, possibly even the Harrier. Let us know your guess in the comment section (click the READ MORE link and scroll to COMMENTS). We’ll pick a random answer, right or wrong, on FRIDAY, March 4, at 3 EST to win the ToughChew® Dog’s Nest® worth up to $185.00! DON’T MISS OUT ON OTHER CONTESTS, GIVEAWAYS, BLOG POSTS, VIDEOS, AND MORE! Back in September, we posted about the dangers to trout habitat in the Northeast as the result of increased “hydrofracking” in the region. Here’s a video that offers some frightening anecdotes about damage already done, as well as a chilling vision of the future of Pennsylvania and New York. Unlike the Pebble Mine battle, this fight must be waged against multiple companies in multiple locations. The fact that these extraction operations offer cash payouts to landowners and good-paying. . .
No, I’m not training Murph for black ops missions, nor am I training him in secret. Actually stealth training refers to training Murph when he doesn’t know he is being trained. This is not a revolutionary concept by any means and good trainers do it all the time, but it’s worth talking about. A lot of amateur trainers (such as myself) tend to focus on the training session and forget about the rest of the day. First of all this sends an inconsistent message to the puppy and secondly, it is a lost opportunity. Winter fishing around southwest Montana is as much about shaking some cabin fever as anything else. Seems like the weather is either warm and windy or bitter cold and windy. So, when we get a day without the wind—be it bitter or warm—a few hours on the water always sounds good to me. 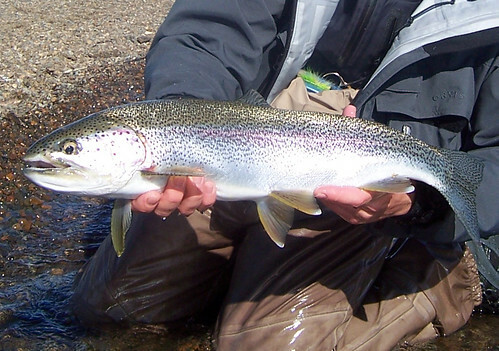 The lower Madison is typically a great winter fishing choice as it offers lots of easy. . .